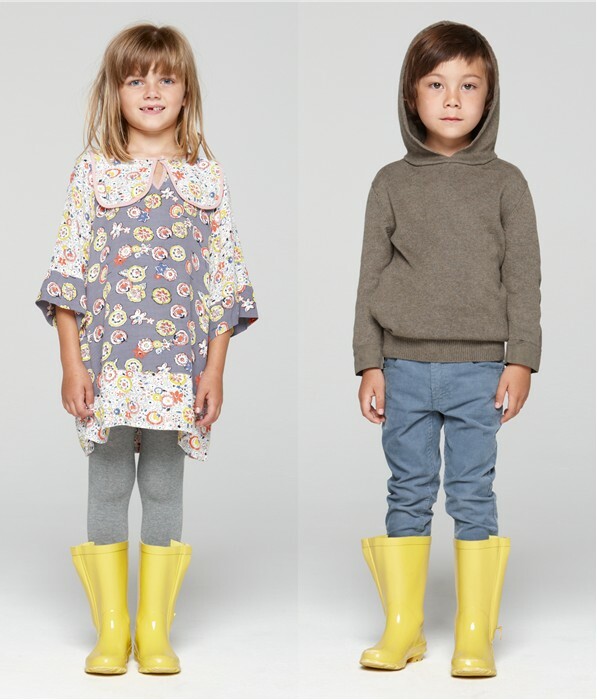 Stella McCartney Kids label now available! Here’s some hot off the press news Babyologists! 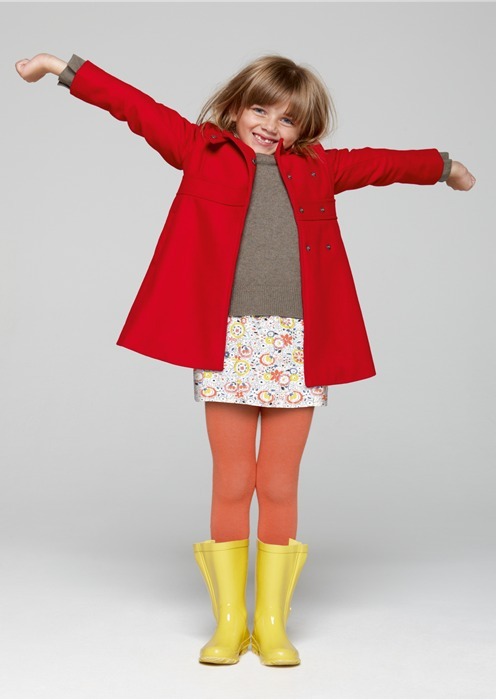 Renowned and lauded fashion designer Stella McCartney has just released her brand new Stella McCartney Kids label. “It’s about time!” I hear you say. 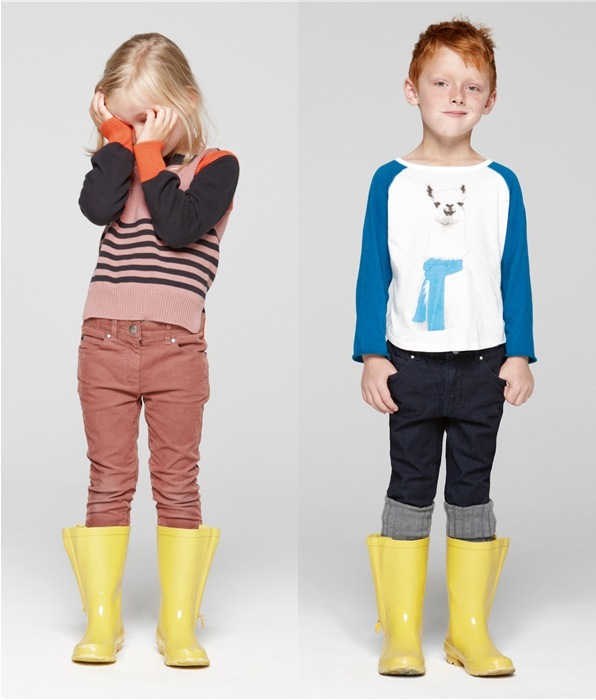 After doing two hugely successful one-off collections for Gap Kids earlier this year, the much anticipated, first ever Autumn/Winter 2010 collection has debuted – and is selling out fast! I’m simply giddy with excitement about this news and upon viewing the collection online, I can say I’m completely enamoured. The clean lines, timeless aesthetic, energetic and sophisticated designs are my very picky daughter’s style down to a tee. I, of course, want every piece for her closet but that’s not going to happen so I’ll be content with just the delightful bright yellow ‘Tammy Boots’. Well, I’m out of luck because the Tammy Boots sold out within twenty-four hours of going on sale. Note to self: be quicker next time. But there’s plenty of pieces that haven’t sold out… yet. My picks of the extensive range for newborn to twelve-year-olds are the ‘Nina Skinny Jeans‘ for girls, the pretty printed ‘Ingrid Dress‘, ‘Sadia Trousers‘ and the stunning red ‘Fay Coat‘. For the boys, I adore the military inspired ‘Lee Jacket‘, ‘Pedro Jean‘ and the chunky knit ‘Chuck Cardigan‘. Head to Stella McCartney Kids to buy. Prices are in Euros for Australian customers with prices ranging from €19 to €139 plus a flat rate of €20 shipping to Australia. Stella says she wanted the label to be affordable and accessible to everyone and I think the prices are incredibly reasonable. Happy shopping!